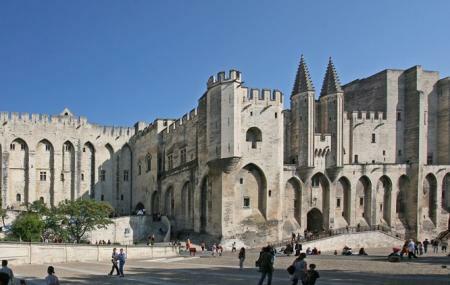 This historical palace at Avignon and is one of the biggest and vital medieval Gothic Buildings in Europe. A UNESCO world heritage site, it was the residence of Western Christianity during the 14th century. It was originally made up of two buildings, the Palais of Benedict XII and new Palais of Clement VI. It portrays one if the best Gothic architectural style in the world attracting thousands of tourists every year and is one of 10 most visited monuments in Paris. Love this? Explore the entire list of places to visit in Avignon before you plan your trip. Fancy a good night's sleep after a tiring day? Check out where to stay in Avignon and book an accommodation of your choice. How popular is Pope's Palace? People normally club together Cinema Utopia and Place Du Palais while planning their visit to Pope's Palace.